I welcome comments on this blog. I learn from them; readers of this blog learn from them. 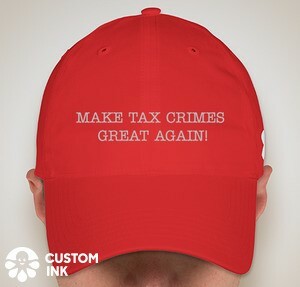 I post here some guidelines and information to help make this blog a helpful resource for persons interested in federal tax crimes.. Please Keep the Comments Relevant to the Blog Entry. Most often, readers will be able to get to a comment only by first reading the blog entry. If your comment is not relevant to the blog entry, a number of readers may never read it. I presume that you are posting the comment to have readers read the comment and, if appropriate, engage in the discussion. Hence, by posting the comment under the -- or at least a - relevant blog entry, you will have a better chance of reaching the largest audience. In some cases, where the comment is wholly irrelevant, I may not approve the comment. (See guide below on comment moderation.) I give an example: In 2011, I posted a blog item on the criminal charge via information against Michael F. Schiavo. The blog was titled A Botched Foreign Account Quiet Disclosure Draws Criminal Charges (5/19/11). One reader posted a comment that was not related to this discussion but rather related to the administration of the 2011 OVDI. I decided to moderate out that comment. It was a good comment and asked a good question about the administration of the OVDI program. But it was not relevant to the topic of the particular blog entry to which the reader was trying to append the comment. Readers concerned that their comments might be missed should keep in mind that recent comments are posted in the column at the right, even when the comments are made to older blog entries. Please Keep the Discussion Civil. This is a blog intended to inform and engage through discussion. As an online discussion grows longer, the probability of a comparison involving Nazis or Hitler approaches. Whether or not the Goodwin's Law means that the discussion is over once Nazis or Hitler is mentioned, the practical effect is that that is the case and readers then reject the views of the person who raised the subject of Nazis or Hitler. So please, unless we are talking about killing people on a large scale for racial and ethnic reasons, let's avoid the Nazis and Hitler card. And, on the broader subject, intemperate comments will rarely be received by readers in a favorable way. Readers will pass negative judgement on the person making the intemperate comment and will not be persuaded or even particularly interested in what that person has to say. Please Avoid Comments that Are Just Rants. Rants and super-hyperbolic discussions (whether made by me or any person commenting on this blog) rarely are read or appreciated by readers. I realize that some hyperbole is involved in presenting arguments, but please avoid going over the top on hyperbole. For the reasons noted above, overstating a case can be a turn off that rarely achieves the goal of persuasion. I do moderate the comments. That means that I read them before I authorize them to appear publicly on the blog so that they can be read by other readers. I typically will not refuse to approve a comment so long as the comment is appropriate to the discussion and not immoderately intemperate. In other words, I will approve moderately intemperate comments that are otherwise appropriate. But keep in mind the discussion above that cautions the phenomenon that intemperate comments are counterproductive to discussion and persuasion. If a reader posts a comment solely to rant without informing or persuading other readers, then the posting will be counterproductive. If, however, the reader merely wants to use moderately intemperate hyperbole to make a point, depending upon context, it may or may not be rejected by other readers and, even before getting to other readers, I may not approve the comment. Use of Disqus as the Comment Engine. Anonymous comments are formally not allowed by Disqus. Disgus' alternative is to allow pseudonym commenting -- which requires both an email address and a user name which can be a pseudonym (note that it requires both items of information). Disqus' empirical data shows that comments with pseudonyms are generally of higher quality that anonymous comments. See, for example, this article here. However, please read further, for I offer a workaround. Your comment will be anonymous without traceability so far as I am aware. For an example, see the comments at the blog here. For those tempted to use this work around for inappropriate comments, remember that I do moderate and will not approve improper comments. Finally, I think it works best if you use the same fake email and the same pseudonym each time. I think that is what is required to aggregate the comments under the pseudonym. Disqus allows nesting of the replies to comments.